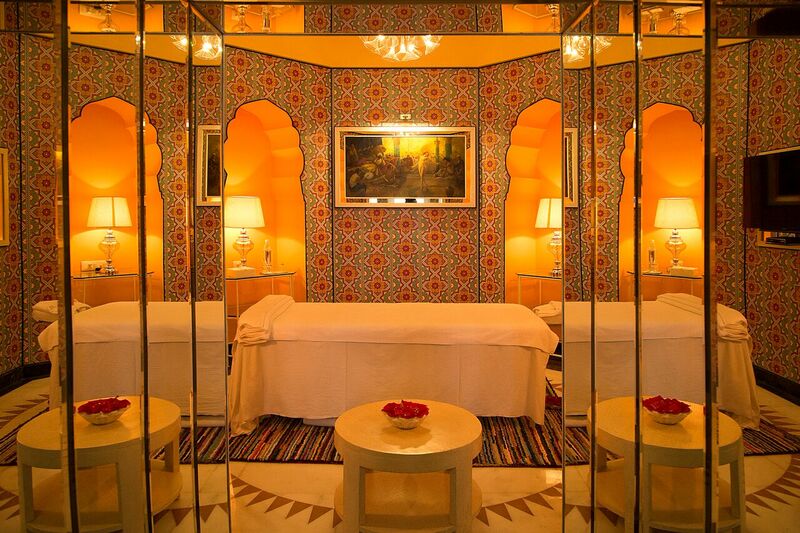 Peer into the centuries before us as you walk through streets and markets once frequented by royalty. 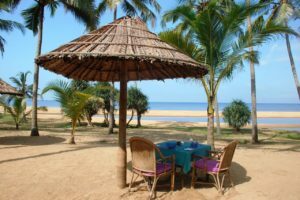 Experience elements of past and modern Indian life, and follow your expedition through metropolis, towns and villages with a jungle safari for unique wildlife viewing. Welcome to Delhi, the capital of India. Upon arrival, you will be met for your private transfer you to your hotel. 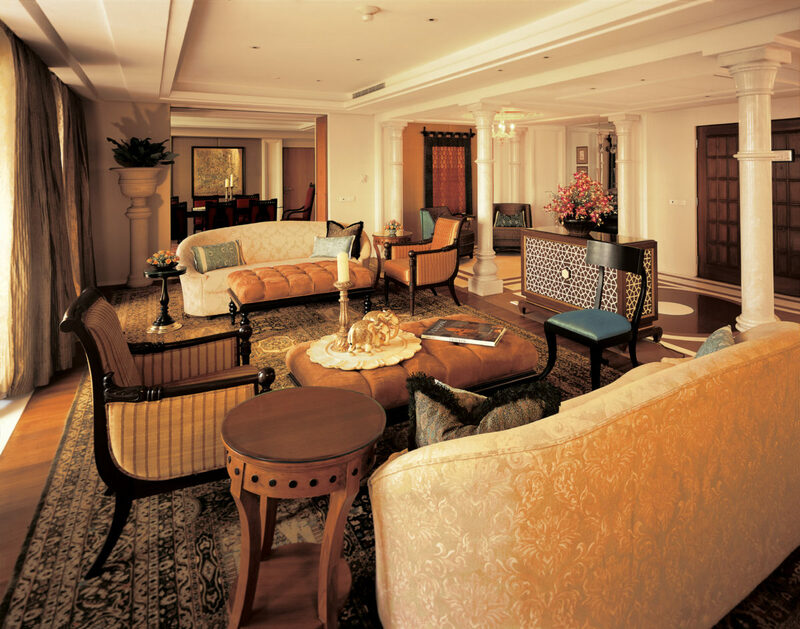 Built in 1952, The Claridges remains one of New Delhi’s most iconic hotels. 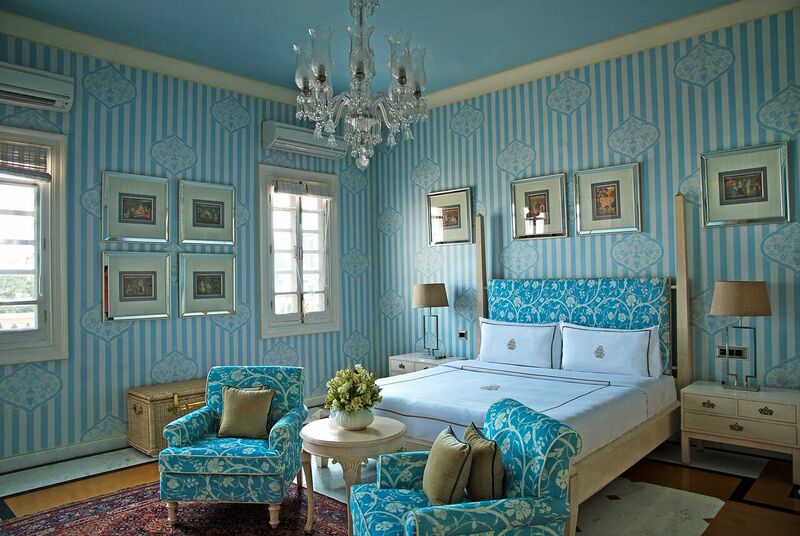 A perfect combination of timeless elegance and contemporary luxury, it is located near the capital’s bustling commercial and cultural centers. 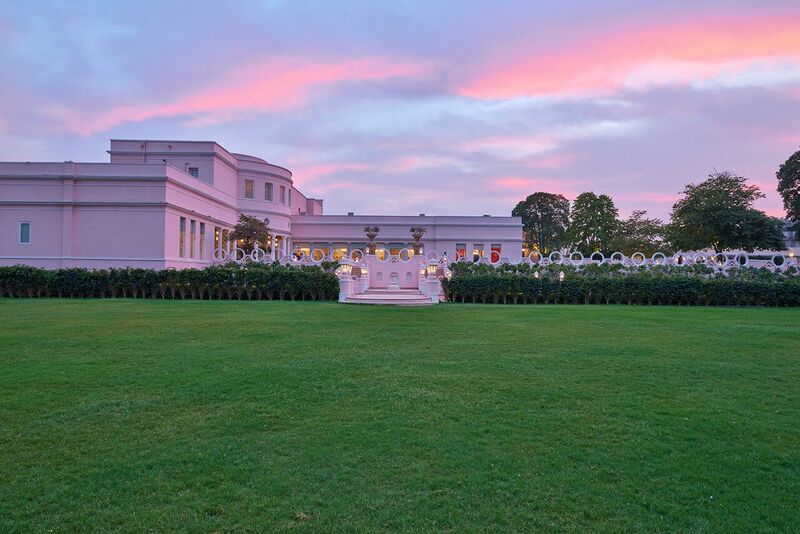 Long ago, India’s first Prime Minister, Mr. Nehru, enjoyed his evening tea on The Claridges plush lawns. 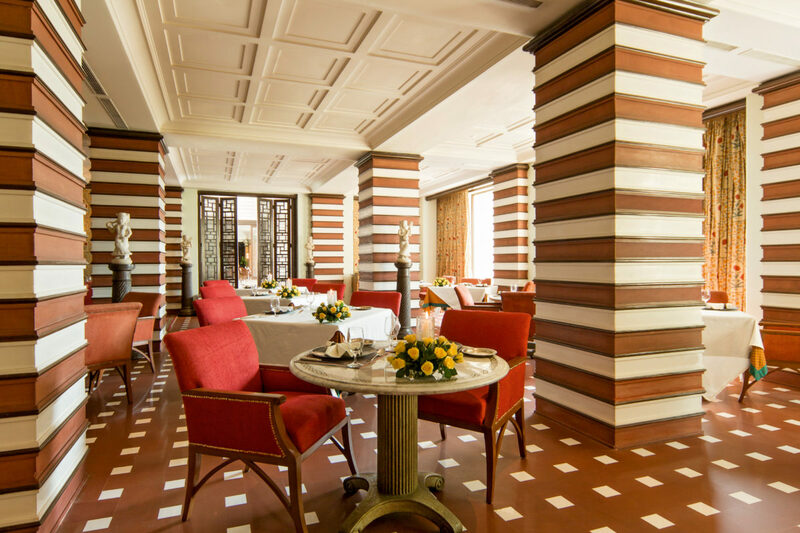 You will find yourself in a stunning stretch of Lutyens Delhi, surrounded by a classic blend of colonial charm and modern amenities. Delhi is a city that offers a glimpse of both ancient and modern-day India. It is the third largest city in India and one of the fastest growing in Asia. This city is rich in culture, always changing with time but never hiding its splendid past. The various ancient ruins seen in Delhi are silent witnesses to its magnificent history. After breakfast, your driver will pick you up from the hotel. 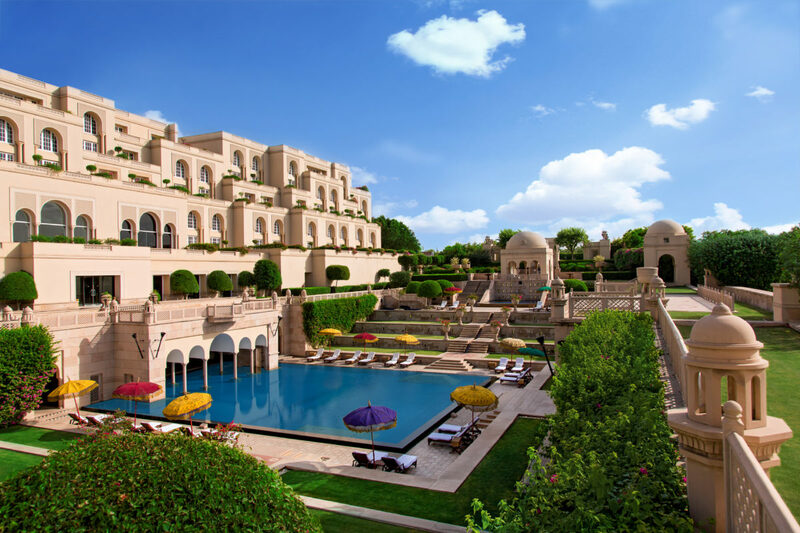 As the city wakes, you will be transported to the times of the grandeur – and subsequent ruin – of the Mughal Empire. Colorful, vibrant, noisy and chaotic are words that can describe what many call ‘Old Delhi.’ With a mix of walking and rickshaw rides, discover hidden gems in the narrow alleys of this 350-year-old imperial city built at the height of the Mughal Empire. Walk through the streets and markets once frequented by royalty. Savor fragrances of the boisterous spice market. Be dazzled by the glitter of India’s largest jewelry market. End with a tour of Jama Masjid, India’s second largest mosque. This afternoon, peer into the early 16th century, to the tales which make up the rise of the Mughals. With humble beginnings, the Mughal Badshahs – Babur, Humayun and Akbar, laid the foundation for the longest-running reign of a single royal dynasty in the documented history of India. A walk exploring the historical, cultural and architectural heritage of the sixth fort city of Delhi, Purana Quilla, followed by a visit to the first grand Mughal mausoleum of India – the beautiful architectural wonder of Humayun’s tomb. This evening, you will have a twin-location exploration of Feroz Shah Kotla Fort for its unique Sufi traditions of the Djinns of Delhi, followed by a visit to the dargah (mausoleum) of Sufi Saint Nizamuddin Auliya. Meander lanes where the mundane and mystical blend seamlessly. 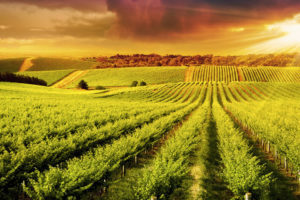 Jostle with crowds who sell kaftans and kebabs, flowers and fragrances, masalas and meats, where the living and breathing eternal wisdom of the Sufi mystics fill the essence-laden air and Sufi spiritual healings teach lessons of love, hope, and coexistence even today. 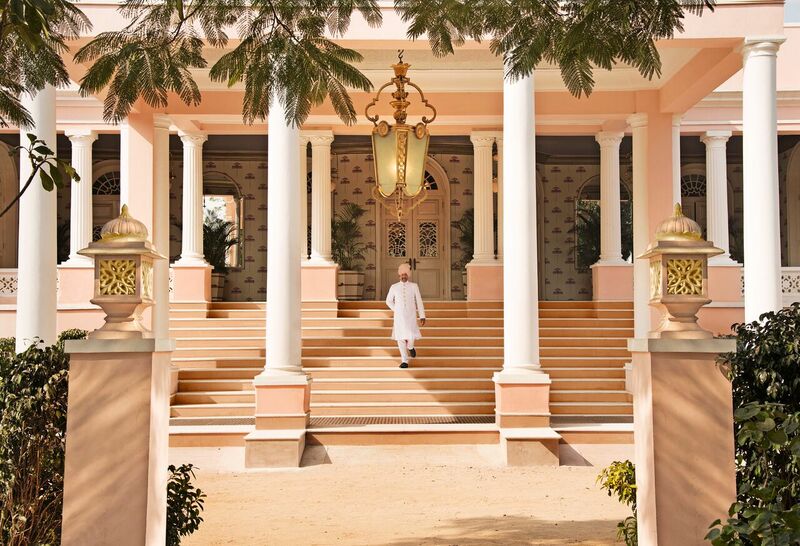 After breakfast, you will be met for your private transfer to Jaipur. 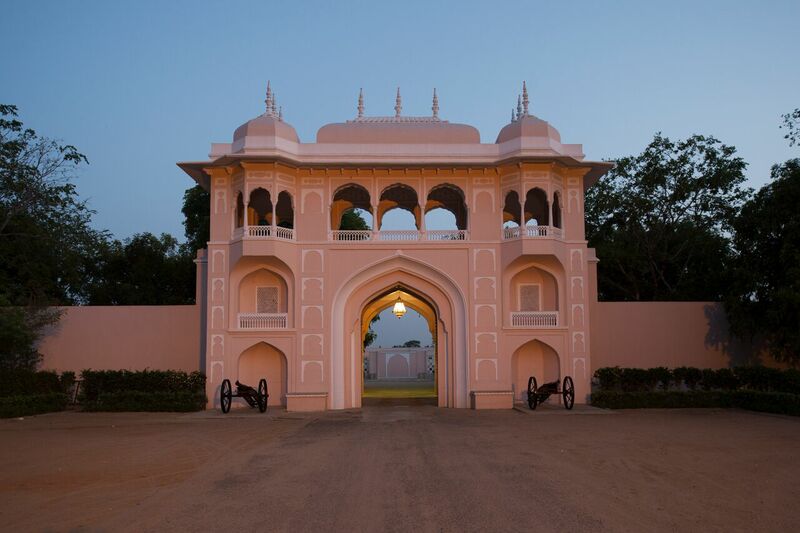 The capital city of the state of Rajasthan, also known as “Pink City,” owes its name, foundation and planning to the great warrior/astronomer Maharaja Jai Singh II. The city sits on a dry lake bed in a wild and somewhat arid landscape, surrounded by barren hills. Besides cultural sightseeing, Jaipur is also known for shopping and is famous for fabric, gems, jewelry and handicrafts. This afternoon, experience Jaipur’s heritage through bazaars, crafts, and cuisine. 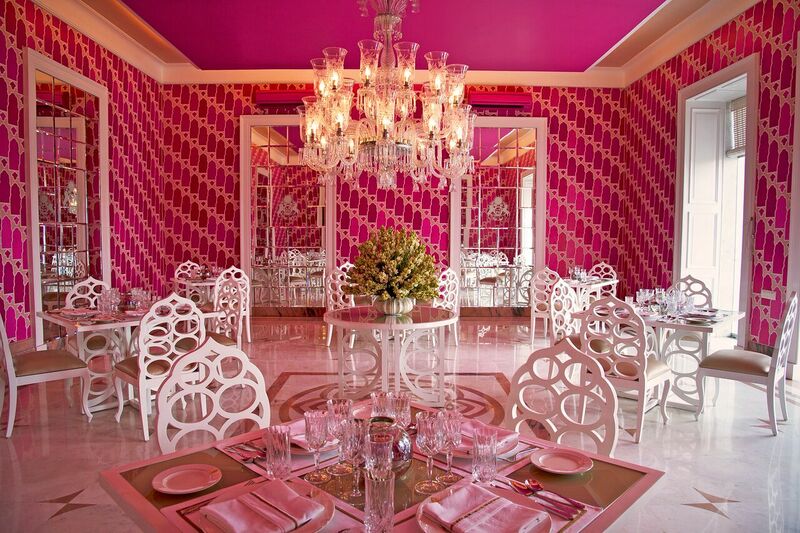 Since its foundation in 1727, royal families and nobles of Jaipur have employed artisans in the Pink City. Many of these traditions continue today, making modern-day Jaipur a favorable destination to witness India’s rich array of artwork and craftsmanship. Mingle and talk with locals while sampling some of the region’s culinary delights – be sure to try Samosa Kachori, Kulfi and Lassi! Sample sweets from some of the city’s most popular Mithai Walas, and observe local craftsman like silversmiths and bangle makers at work. 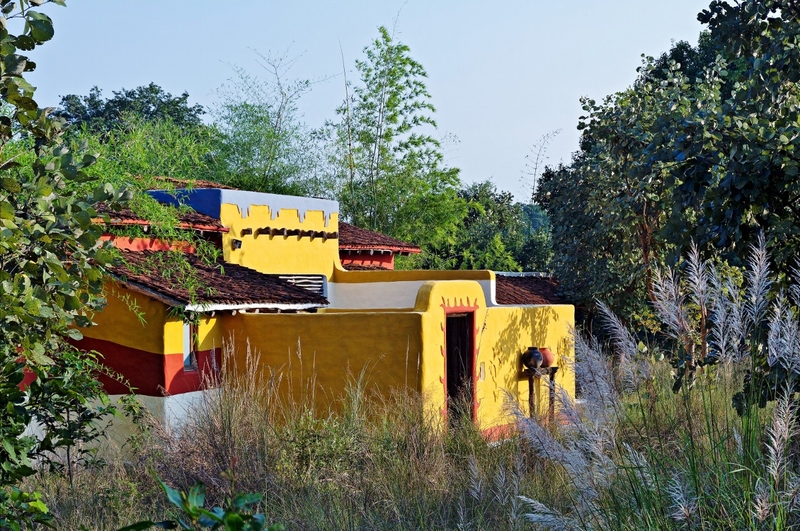 Meet a local family and experience true Indian hospitality. After breakfast, enjoy a morning city tour to see the gems of Jaipur. Visit the magnificent Amber Fort, the most iconic monument of Jaipur. Travel on jeeps to the top of the hill where the fort is situated. Housing many palaces, halls, gardens, and temples (including the Sheesh Mahal, an elaborate mirror palace), a visit to Amber cannot be missed. Later embark on a uniquely designed cycle rickshaw tour and gain insight on the socioeconomic aspects of the city. Every street in the walled city has something interesting to offer, and the relaxed rickshaw ride is the best way to explore the city like the locals do. Next, visit three iconic spots in Jaipur: In City Palace, you find a delightful blend of Mughal and traditional Rajasthani architecture, sprawling over one-seventh of the area in the walled city. It houses the Chandra Mahal and the City Palace Museum. Jantar Mantar is the largest and best preserved of the five royal observatories built across the country by Jai Singh II. This observatory is still in use today. Next, visit the “Palace of the Winds” or, Hawa Mahal, a prominent landmark in Jaipur. 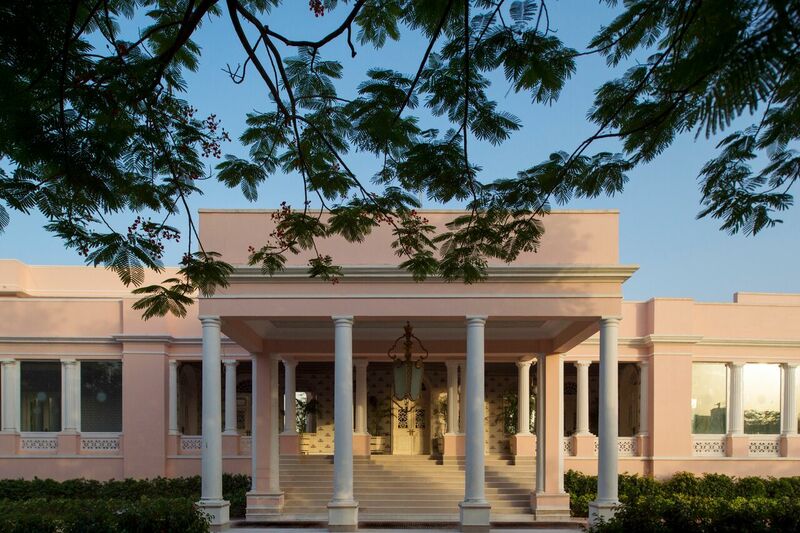 The five-story sandstone structure is plastered in pink and encrusted with fine details and elaborate balconies. 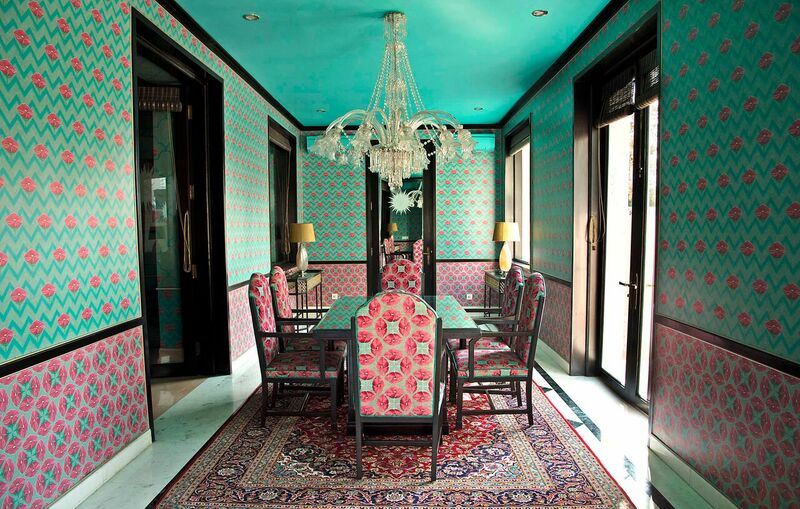 After breakfast you will be met for your private transfer to Agra. In the mid 16th century and early 17th century, Agra witnessed a frenzied building activity and it was during this time when the symbol of love, the Taj Mahal, was built. This afternoon, you will visit Agra Fort, a massive structure with 70-foot high, 1.5-mile long walls encompassing an astounding collection of well-preserved buildings, many of them completed during the reign of Emperor Shah Jahan. 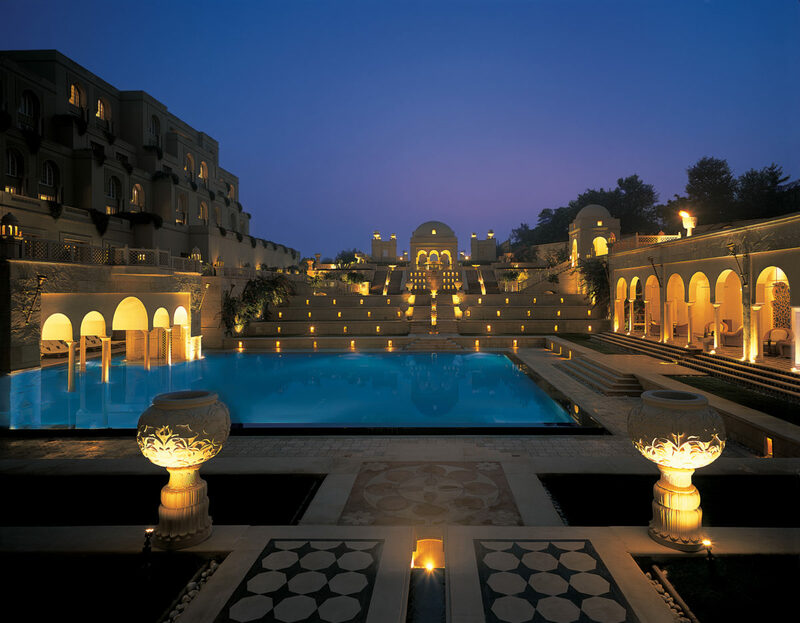 After your tour, you will transfer to the Oberoi Amarvilas. 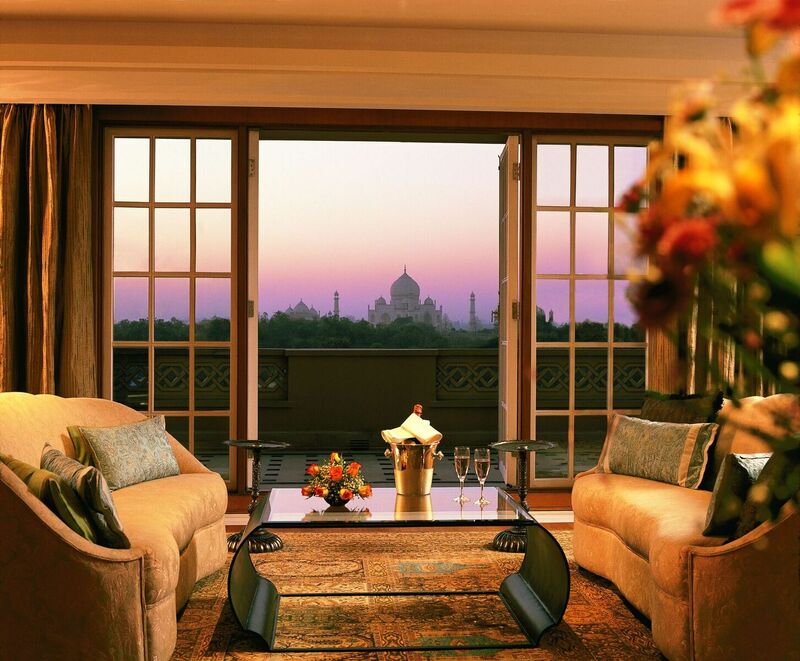 The hotel enjoys an unrivaled position, just 650 yards from the iconic Taj Mahal. 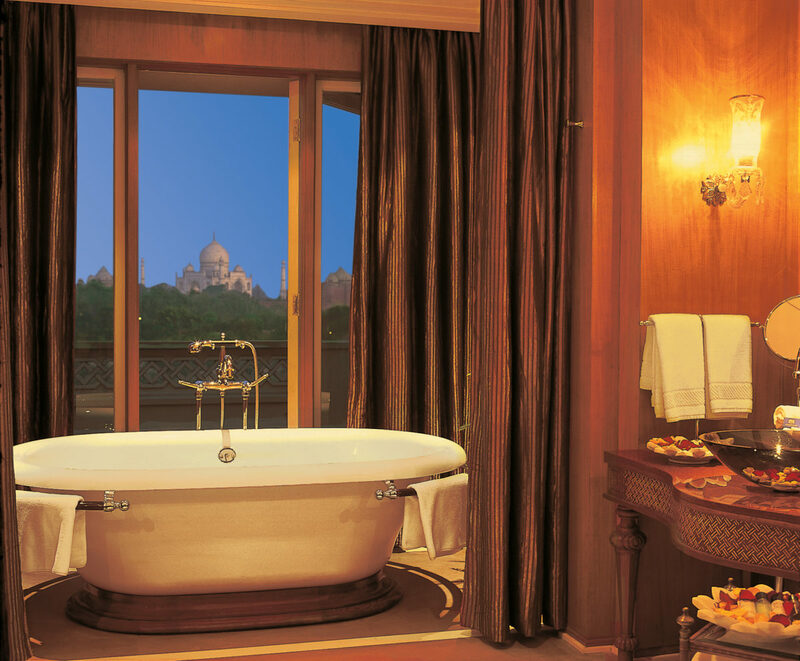 Each room affords uninterrupted views of this ancient monument and reflects traditional Mughal splendour. The hotel is approached along a sweeping driveway, verdant with native trees and lit by flaming torches. 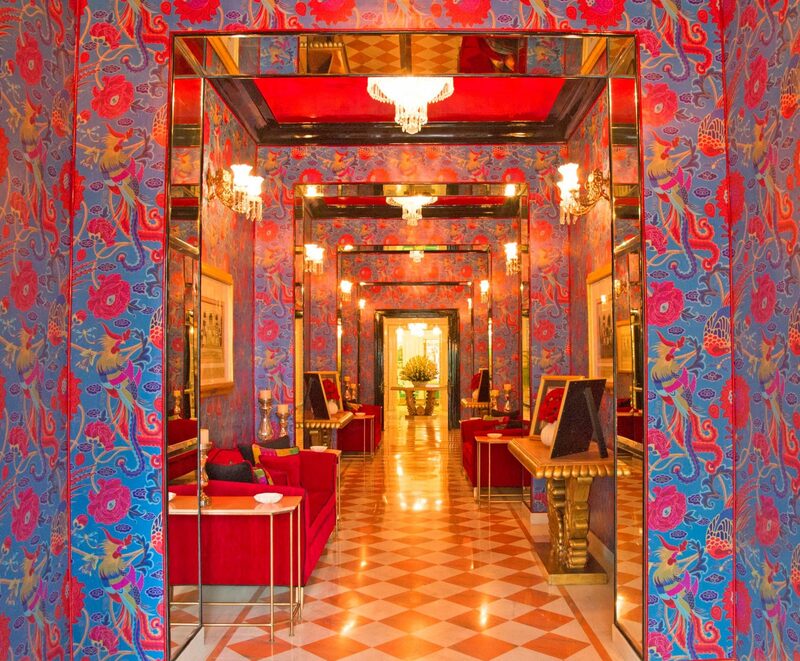 Just inside, you are met with cascading fountains, arched passageways and gold leaf frescoes. At sunrise, you will visit the world-famous Taj Mahal. Little needs to be said about this architectural wonder, which is the sole raison-de-etre for every tourist’s visit to Agra. Built by Shah Jahan, the Taj is a white marble memorial to his beautiful wife Mumtaz Mahal. This monument took 22 years to complete and was designed by Persian architect Ustad Isa. Along with its stunning design, balance and symmetry, the Taj Mahal is especially noted for its elegant domes, intricately carved screens and some of the best inlay work ever seen. After your visit, return to the hotel for breakfast before transferring to the Agra airport for your flight to Varanasi. 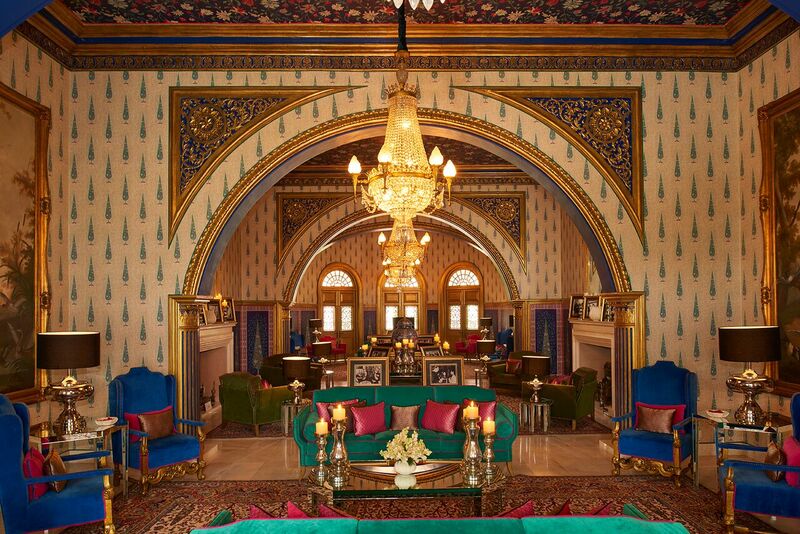 On arrival in Varanasi, you will be met for your private transfer to the Taj Nadesar Palace. Varanasi, known to the devout as Kashi, is said to have been founded by Shiva, Lord of the Universe. One of the oldest living cities in the world, Varanasi is one of the most important pilgrimage sites in India. Situated on the banks of the sacred Ganges River, the city has been a center of learning and civilization for over 2,000 years. Later, enjoy a walk through a mystical landscape of poets, sacred temples and holy ponds near Assi ghat, the southernmost embankment of the holy Ganga River. Walk in the footsteps of 16th century Banaras poet and mystic, Pandit Goswami Tulsidas, translator of the sacred Ramayana text. Hear about the history and special culture of Varanasi while visiting the southern temple established by the Tulsidas! The walk ends with a special darshan, meaning “taking sight” of a hidden sun temple behind his home. This evening, visit the Ganges for a glittering Aarti (prayer) ceremony. Enjoy a rickshaw ride through the bustling streets of this unique city followed by a sunset cruise on the Ganges, where you will witness striking religious rituals being performed. After breakfast, you will transfer to the Mumbai airport for your commercial flight to Khajuraho. 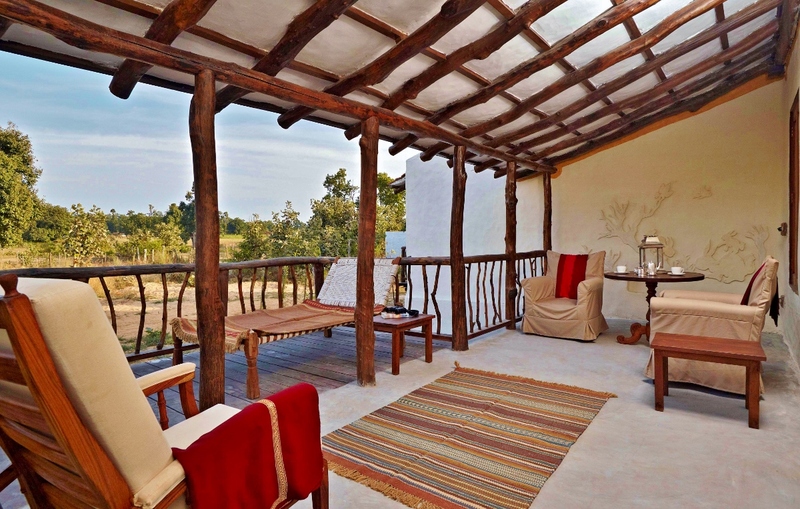 From here you will be met for your private transfer to Bandhavgarh National Park. 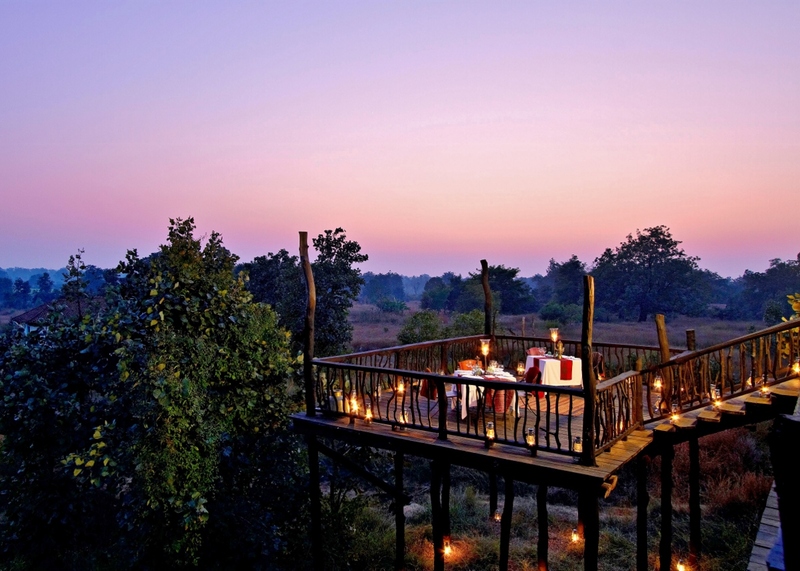 Set among the Vindhya Hills in Madhya Pradesh, Bandhavgarh National Park consists of 168 square miles of unique landscape, including sal trees, mixed forest, bamboo and grassland. There are at least 150 species of birds in the park, along with tigers, sloth bear, langur monkeys, wild boar, mongoose, and three kinds of deer. 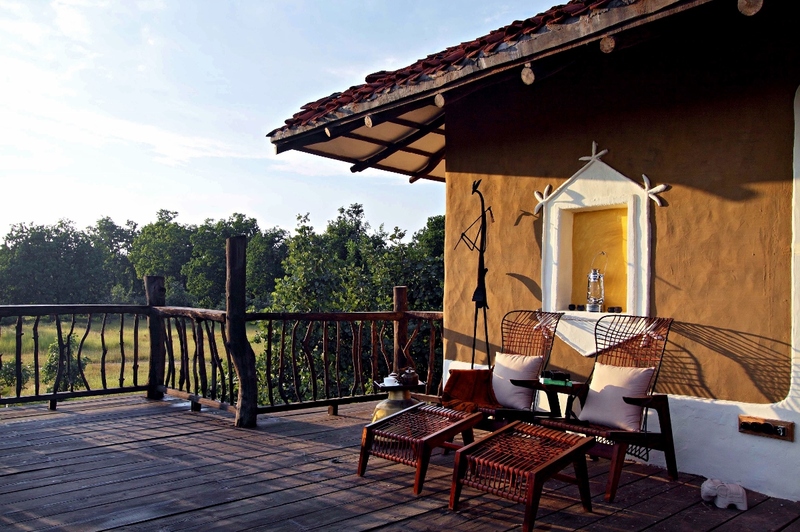 Samode Safari Lodge is located in the heart of tiger country, adjacent to Bandhavgarh National Park. 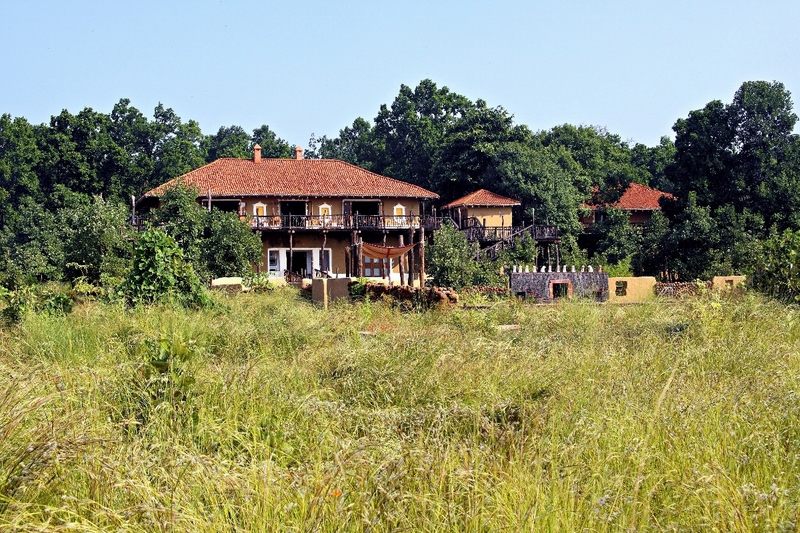 The gorgeous lodge is the creation of the Samode family and was inspired by their safaris to Africa. Beautifully designed and sustainably managed, the lodge reflects the style of local village architecture while exuding warmth and luxury. 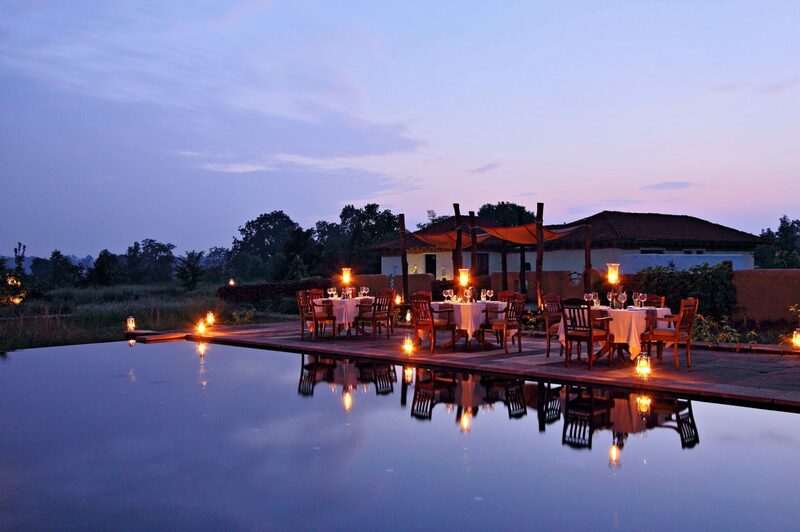 Meals can be served in a shared dining area, in your villa or beneath the trees for a private bush dinner. At the center of the property is a swimming pool and spa. 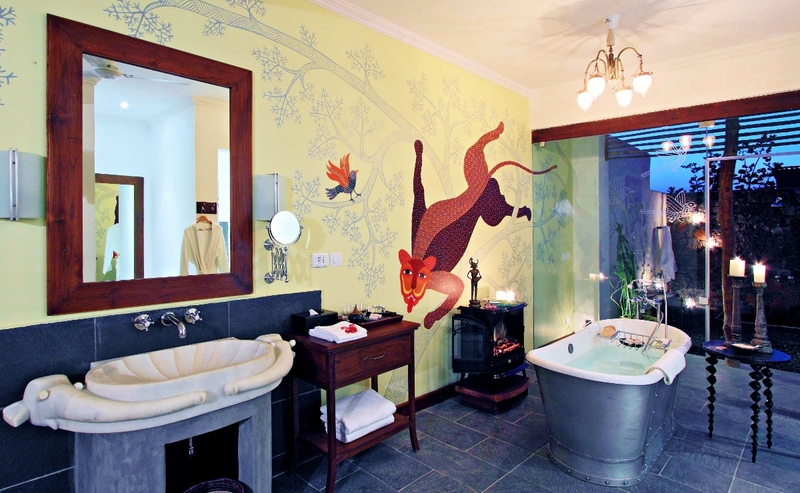 The villas are light and spacious, with fabulous indoor and outdoor bathroom areas and a private veranda. Knowledgeable, enthusiastic naturalists will accompany you on safari in the park. Prepare for an early-morning wake up call with a knock on your door and tea or coffee. 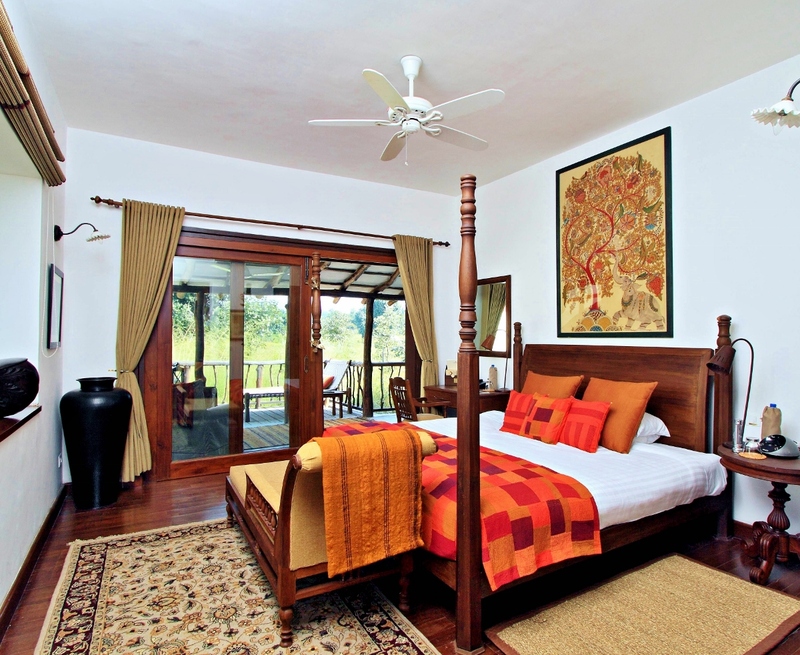 You will wake up to misty mornings and sounds of birds calling, which will make an exciting start to your day. As soon as dawn breaks, leave for your jungle safari, accompanied by a resident naturalist and a forest park guide in 4×4 Jeeps. Return for brunch and time to rest at the lodge. Later, enjoy lunch and an afternoon game drive, before returning to the lodge for evening tea and free time for stargazing. 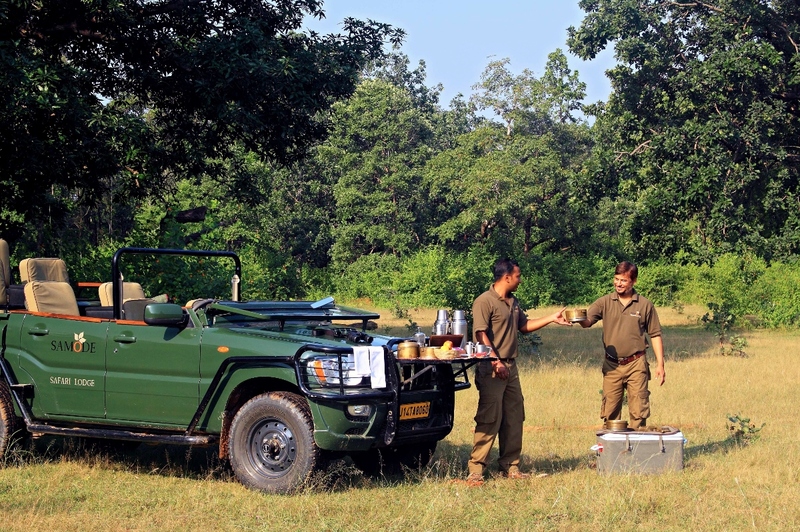 After your morning game drive and breakfast, you will be met by your driver for your transfer to Kanha National Park. Set on the Chhota Nagpur Plateau in Madhya Pradesh, Kanha National Park provides breathtaking vistas of grassy plains and sal forests. This 366-square-mile reserve was established to save two endangered species – the tiger and the barasingha deer. The park offers a variety of other species as well, including leopards, chital, gaur, barking deer, and the sambar deer. On safari! An early-morning wakeup call will get you on your feet for your first game drive of the day. 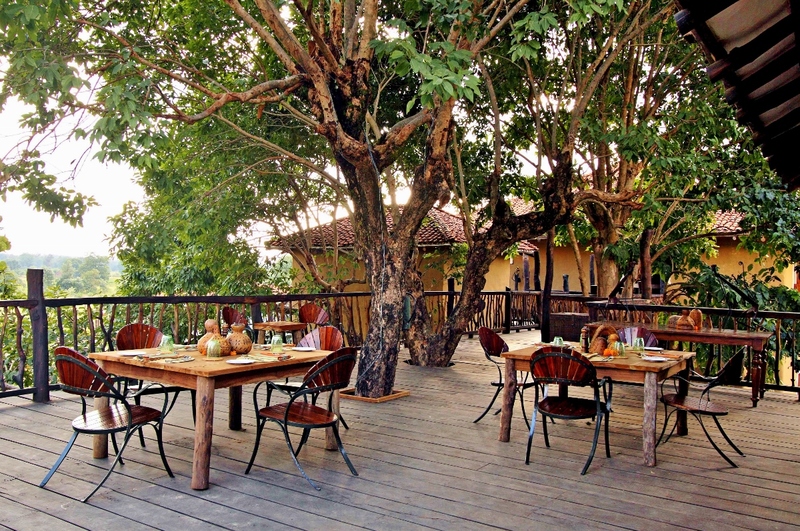 Enjoy a picnic breakfast in the middle of the jungle, and the rest of the morning at leisure. Opt for a nature walk or cultural visit to a nearby village/school or engage yourself in cooking demonstration. 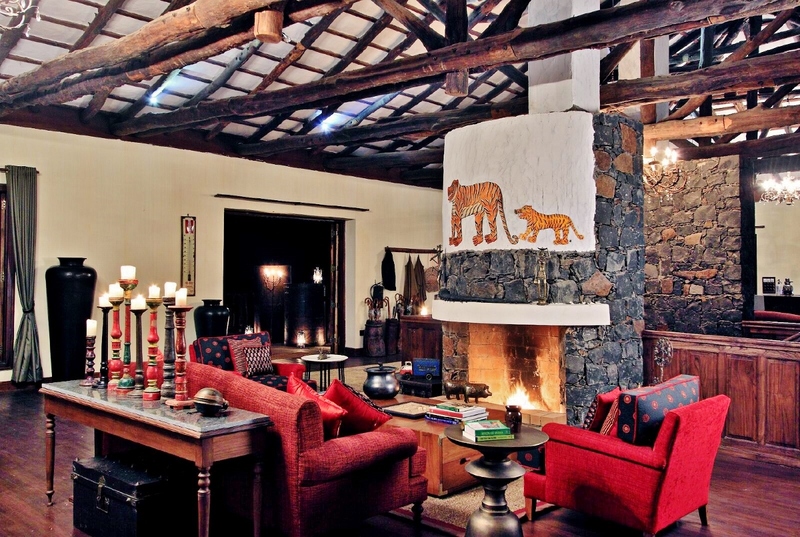 Return for an afternoon game drive, then back to the lodge for a relaxing evening. After breakfast, your driver will meet you for your transfer to the Jabalpur airport for your flights to your final destination through Delhi. Safe travels!